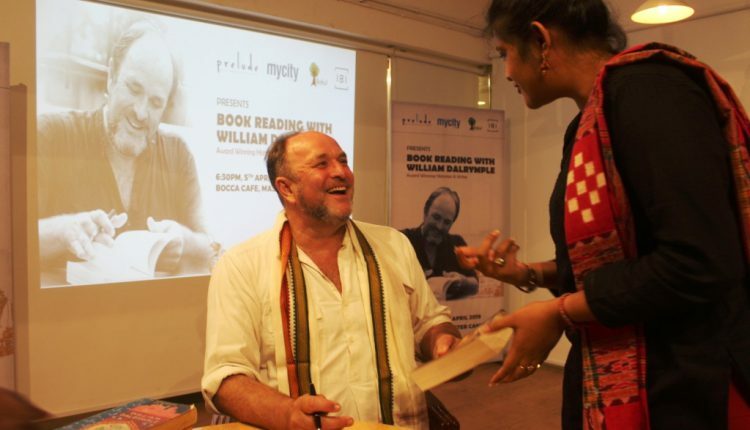 Bhubaneswar :Prelude, in association with MyCityLinks, Bakul Foundation and IBI organised a book reading session with historian and writer William Dalrymple on April 5, 2019, 6:30 PM at Bocca Café. The chief guest of the event Vishal Dev, Principal Secretary of Sports and Tourism, IAS graced the occasion and was introduced by the host Diksha Tiwari. Both Dalrymple and Vishal Dev were presented with a sapling upon their introduction. 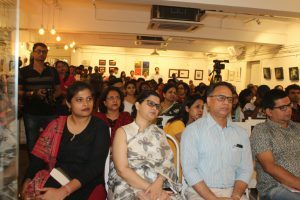 The audience present at the event listened with rapt attention to the readings of a few sections of his works which included In Xanadu: A Quest, City of Djinns, From the Holy Mountain and Nine Lives: In Search of the Sacred in Modern India. Dalrymple interacted with the audience on different aspects of the book, including his take on travel writing and it’s influence on the much popular genre of the times – the novel. The Scottish writer has been living in India on and off for the past two decades. He was quick to point out about some of the anecdotes from his experience talking to and interacting with the myriad sects and sub-sects of India which, in turn, influenced his narrative. On the occasion, My City Links launched the April issue of its new monthly magazine which covers the best of what’s happening in the city. The magazine was unveiled by William Dalrymple, Vishal Dev, Sanu Ratho, Director, PNV and My City Links and Sameer Hans, Publisher, My City Links. 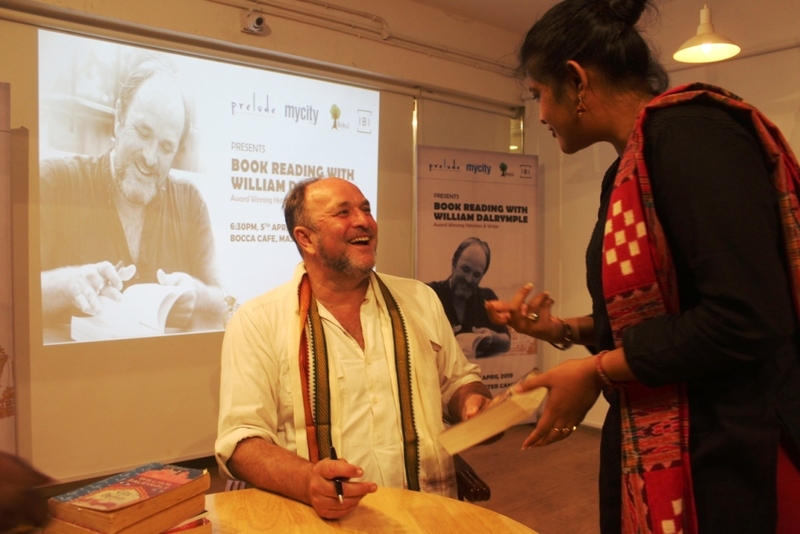 The floor was then opened to book signings for the fans who arrived in large numbers with their copies of William Dalrymple’s works.